"I want to edit AVCHD-Lite video from my Panasonic Lumix digital camera. I don't need any special effects, just the basics like trimming the end of a clip, combining two video clips, and uploading files to YouTube and Vimeo. What's the best solution for editing AVCHD-Lite movies?" Any software that will edit AVCHD from a camcorder will also work for editing AVCHD-Lite. There are a bunch of options out there for editing AVCHD movies, but for most editing the easiest solution is Pinnacle Studio HD. I'm biased toward Studio HD because I use it frequently, but it's also a great product made by one of the top video editing brands on the planet.There are a couple of quirks to the process that I'll walk you through. Pinnacle Studio is my top choice for editing AVCHD-Lite because it makes it simple. While you get extra features by purchasing the Ultimate version, the entry level Pinnacle Studio HD will work just fine for most AVCHD-Lite video editing projects. This gets you started for about $49 for a video editing app that works for other projects too. The hardest part of the process is browsing on the SD card from your camera to find the video. 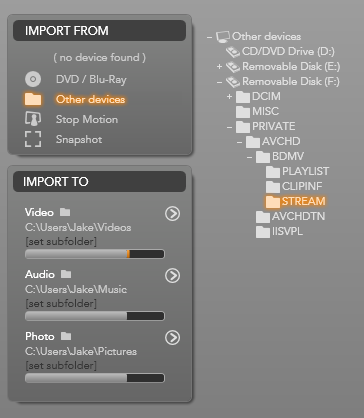 When you put the SD card in your computer's card reader slot (or connect the digital camera via USB) Studio HD won't detect the AVCHD-Lite video automatically. You have to browse the SD card to the exact folder where the video is located. On Panasonic cameras you want to go to the folder PRIVATE > AVCHD > BDMV > STREAM. It's also a good idea to set the folder you want to import to. By default, Studio HD imports video to the Videos or My Videos folder on Windows. You probably want to create a subfolder so that you can easily find the files later and keep them separate from other videos on your hard drive. Download Pinnacle Studio HD to start editing your AVCHD-Lite movies. 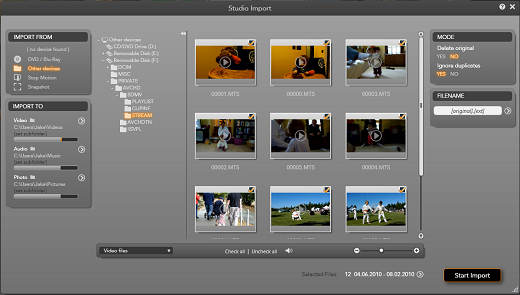 Once you import the files you want to edit, the editing process is really straightforward. Just choose the video clip you want to edit, drag it to the video timeline and make the modifications you need before saving it for export to YouTube, a DVD, or anywhere else.